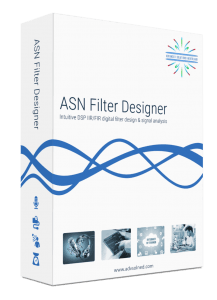 The signal analyser allows designers to test their design on audio, real (user) data or synthetic data via the built-in signal generator. 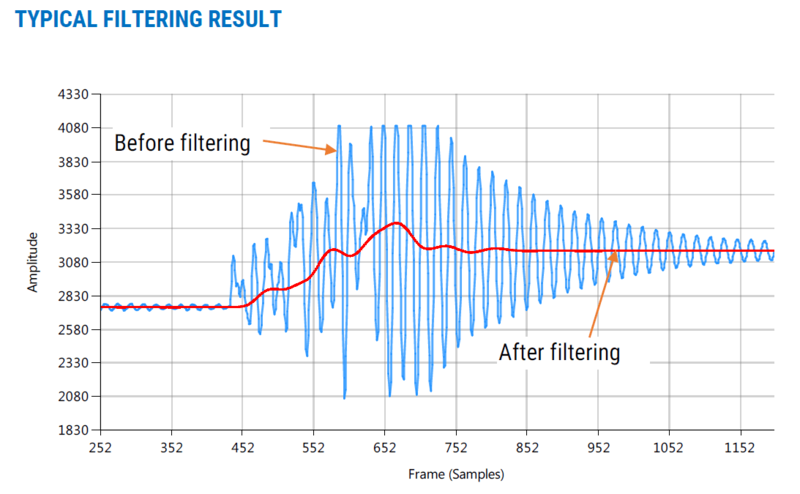 Default data playback is implemented as streaming data, providing a simple way of assessing the filter’s dynamic performance, which is especially useful for fixed point implementations. 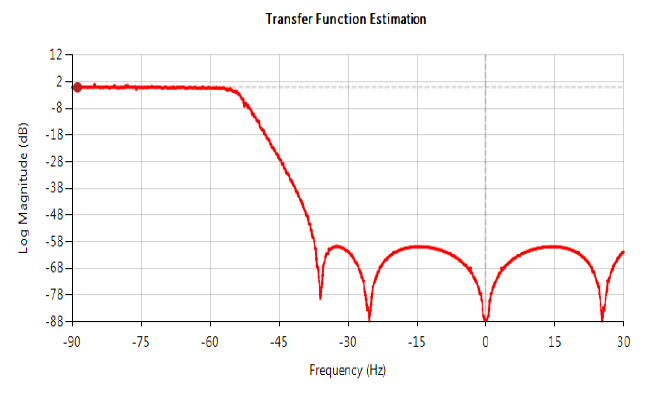 Both frequency domain and time domain charts are fully supported, allowing for design verification via transfer function estimation using the cross and power spectral density functions. 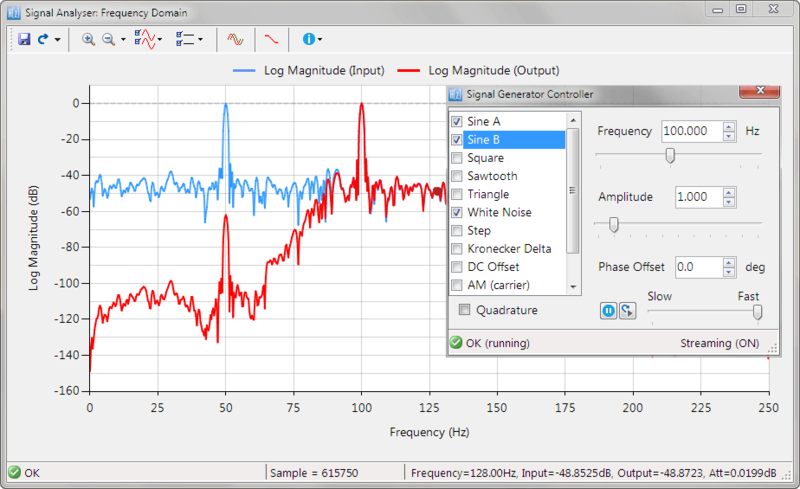 As with all other charts, the signal analyser chart fully supports advanced zooming and panning, as well as comprehensive chart data file export options.